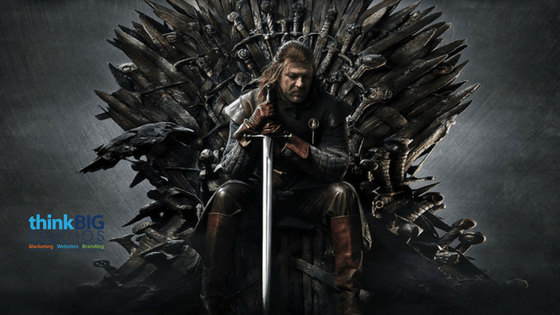 Unless you’ve been living under a rock for the past decade, you’re sure to have heard of Game of Thrones, the hit HBO TV series that took the world by storm when it was first released in 2011. It might be a fantasy show with no basis in reality but if you look closely, you’ll find the series filled with hidden gems of entrepreneurial wisdom. Here are 5 lessons you can steal from the show to get you through the throes of your own kingdom – your company. It doesn’t matter if you’re a nobody. If you have the right connections, you’ll soon be the ruler of your own kingdom. We learn this lesson from Danaerys Targareyn, who strategically married a Dothraki warlord and eventually got so much power over him that she made him dance to her tunes. So yeah, you need to make the right connections if you want to succeed in business. Like they say, it’s not what you know, it’s who you know. Anyone who’s watched Game of Thrones knows the phrase “a Lannister always pays his debts.” This rule isn’t just for the Lannisters; in business too, you need to pay your debts as quickly as possible. It can be dangerous for an organization to accumulate too much debt as it may result in credit downgrades or worse. In one of the episodes of Game of Thrones, Danaerys is seen buying an army of slave warriors, named the Unsullied. The army was previously trained to follow orders and do exactly what their owners told them to. However, the Khaleesi set them free, giving them a sense of self-worth. In turn, they became incredibly faithful to her by their own will. From this, we learn that giving employees a sense of freedom and treating them as partners instead of slaves results in greater employee loyalty. The Greyjoys made a terrible mistake by focusing all their energy on taking over the North when they had the biggest naval fleet compared to other kingdoms in the show. Soon the lands they had taken over were recaptured and they ended up losing most of their best men. When businesses spend more effort on alleviating their weaknesses instead of focusing on their true strengths, they run the risk of losing everything. It’s important to identify what you do best and then emphasize on that. What value proposition do you offer? Find out and focus all your attention on it. Perhaps one of most used phrases in Game of Thrones is “winter is coming.” The phrase isn’t just a weather forecast; it’s a reminder of the trials and challenges that lie ahead. For a business, it’s important to plan strategically for the future and be prepared for any circumstances that may arise in the long term. Who knew watching TV shows could teach you so much about business and entrepreneurship? Follow these 5 rules from Game of Thrones to have a better chance at success for your online venture!